New wave in the flood of technology LG electronics has proudly launched new LG Cookie Pep (LG GD510). Stunning mobile with smart features and technology that make you more smart. New LG Cookie Pep will definitely add more fun and style to your life as it has got multimedia features and special social networkings for you! LG cookie Pep Price is Rs. 7500. Stunning phone has 3.0 inches TFT resistive touch screen along with accelerometer sensor for screen rotation and gaming. 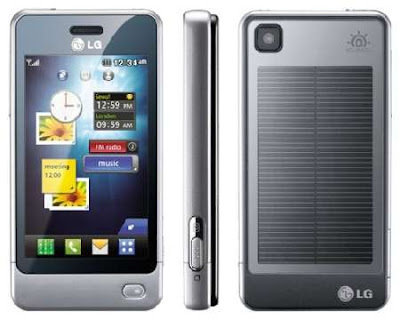 New LG Cookie Pep has got a gift of 42 MB internal memory, micro SD expandable card slot for web browsing, pictures and videos. For music and fun it has stereo FM radio along with RDS . It also takes care of your social networking and for that it has Twitter, My space and Facebook also. New LG Cookie Pep has got 3 inch full touch screen with amazing 3.15 MP camera to make you not to waste any happy moment around you and it had a wonderful launching session as the brand ambassadors are Bollywood hearthrobs Abhay Deol, gorgeous Genelia D’Souza and handsome John Abraham this bollywood trio made a wonderful launching. LG Electronics is really looking forward to bring new innovations and technologies in this mobile era , its Business Head was quoting about new strategies to be followed as LG has to make its position more strong in the market. Main target group is youth and most of the activities being planned around them. This new LG Cookie Pep has brought ultimate fun for young users.